1. -Be polite, modest, and save and give face. 2. -It’s not advisable to hug Chinese or touch their hands. 3. -Be patient. Every bureaucratic step takes a lot of time and effort. Chinese are very scrupulous, and before making any decision they study the question thoroughly. 4. -Chinese don’t do business with people or companies they don’t know. Recommendations are very important and they should be done in English and in Chinese. 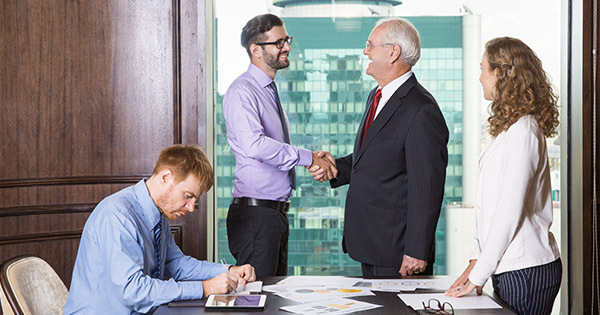 What is known as Guanxi (Personal connections) is what transmits trust, and family, school, or previous business ties may allow those connections. 5. - Being punctual is being respectful. Never be late for a business meeting, it’s always better to come a little bit earlier. 6. -The presence of an intermediary (Zhongjian Ren) is vital to mediate and mitigate cultural and language differences. Still, the intermediary is an interpreter not so much of words as of cultures. 7. -Chinese people prefer face-to-face encounters rather than telephone communications. Having your own Chinese interpreter could be of help and necessary indeed —especially if you’re going to discuss some legal issues or very technical concepts are involved. 8. -Turn off your cell phones during negotiations. 9. - Prepare your materials and agenda and translate them into Chinese before arriving to China or before sending them, so that the Chinese can read about your company, history, products and services. 10. -Any business meeting is planned several months in advance. Send your agenda correspond 1-2 weeks before the meeting. Don’t forget to discuss it with a professional language intermediary or translator, and remember that all printed materials should be translated into Chinese. 11. -In the Chinese business world there is no gender asymmetry, both men and women occupy high positions. 12. -Remember that standard order to address a Chinese is last name and name. If you call a Chinese partner by their last name, include their job title. For example: President Chen. 13. -Try to respect the dress code. Men wear conservative dark colored suits, and women shouldn’t wear flashy colors or high heels. 14. - Ranks do matter in the business world in China. It´s very important that people in the highest positions are present during business transactions, i.e. : the director, the head of the company. People enter the meeting room in hierarchical order. 15. -Being acquainted with the Chinese market place is as important as being familiar with interpersonal relationships. Don´t try to make friends with Chinese while negotiating. The Chinese draw a clear line between social events and work. If you are having lunch, do not discuss business issues. 16. - Have business cards handy to exchange in English and Chinese. Make sure that the card is translated to simplified Chinese by professionals without mistakes. According to old Chinese traditions, cards should be given and received using both hands with a nod and a slight decline of the body. While Chinese people usually learn the basics of Western protocol negotiations, they still keep many of their own social and cultural norms. Therefore, preparing for negotiations with Chinese people long before the appointment date, and learning the basics about how to behave with Chinese will definitely pave the way to a successful negotiation.